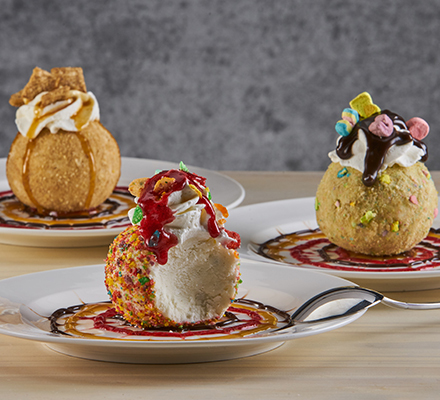 Three scoops of vanilla ice cream, each coated with different breakfast cereals, topped with whipped cream and a different sauce for each. 1 #8 scoop Blue Bunny® Vanilla Bean Ice Cream, coated with choice of cereal; crushed fruit cereal, cinnamon cereal, or rainbow marshmallow cereal. Swirl the hot fudge, salted caramel, and strawberry sauces in a spiral around the serving plate. - Using a fork, drag toward the outer edge of the plate to create tie dye design. 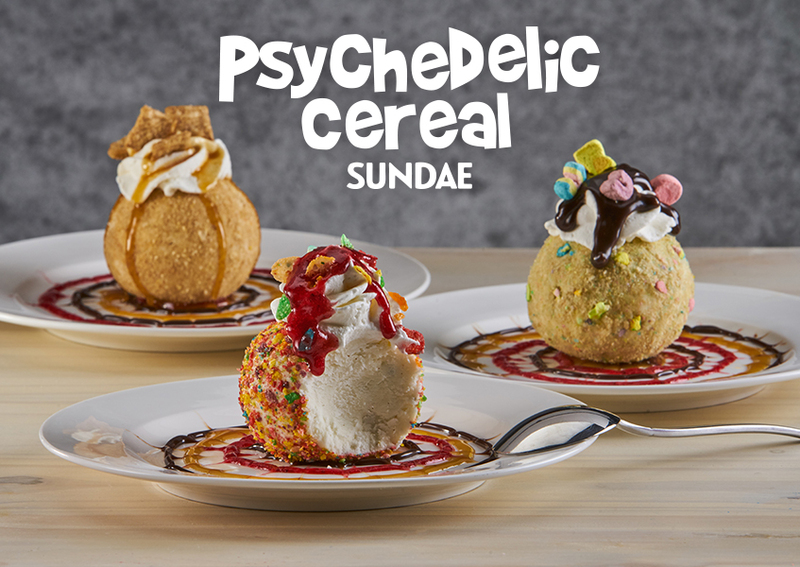 Place the cereal crusted ice cream onto the plate. 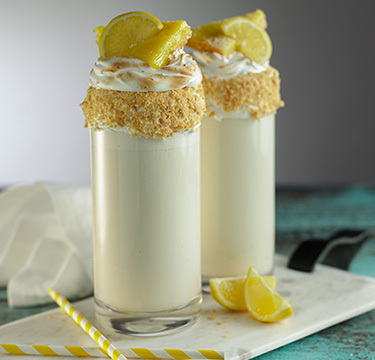 Top each with a swirl of whipped cream. 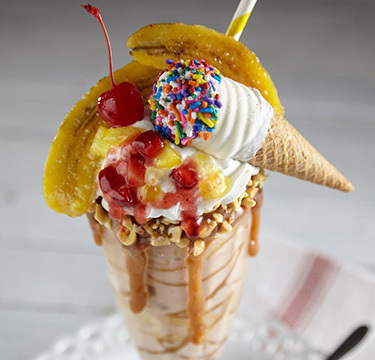 • Alternate cereals can be used to coat and garnish the ice cream. 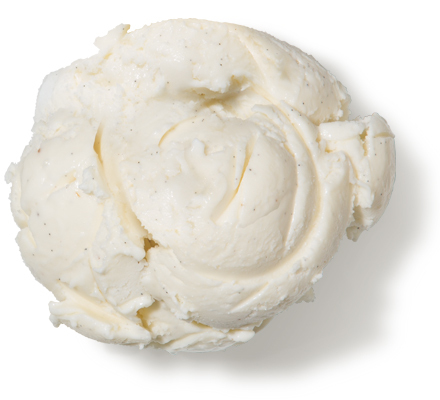 • Pre-scoop ice cream and freeze for a firm set ice cream that will take longer to melt. Not sure what's missing on your menu? Let us help! The Blue Bunny® Menu Gap Analysis Application identifies dessert menu items opportunities, allowing operators to maximize their profits.